Hopaal is a 100% recycled garments brand allowing its customers to donate 10% of their purchase price to an organisation. Today, to dress is not an option and we offer you the opportunity to do it well! Thanks to underused processes we will provide you clothes to dress in a sustainable way. Recycled textiles have numerous advantages and should be a standard for this industry. 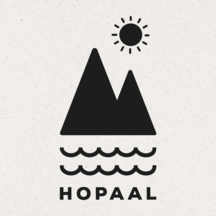 For Hopaal, it is just a beginning. We still have a lot of ideas to try and implement! We count on you to support us!